An audiologist is a professional who specializes in the diagnosis, evaluation and treatment of hearing and balance disorders. They have earned an Au.D. (Doctor of Audiology) from an accredited university, where they received extensive training in the prevention, identification, assessment and non-medical treatment of hearing and balance disorders. They have to complete an internship, pass a national competency examination and obtain professional certification and licensure in the state(s) where they practice. When a hearing aid dispenser tests your hearing, they do it to find out how much amplification is required for your hearing devices, but it is not a full diagnostic evaluation. 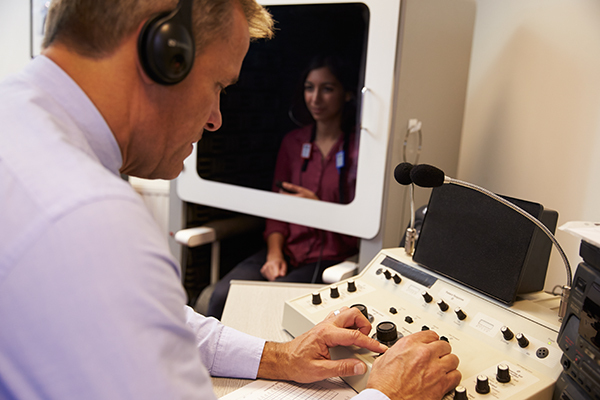 A full diagnostic evaluation performed by an audiologist help to diagnose the root cause of the hearing loss and thus provides a better understanding of your specific needs and treatment required.